1. Seek Clarity Always. MacArthur in his later years has not been known as the “dynamic” or “excitable” preacher that jumps around gleefully in the pulpit (even though in his early years he was very passionate). But one thing has stood true from the beginning of his ministry: he is a clear teacher of the Word. For this man, accuracy always superseded style and flashiness. He has encouraged me to work harder to be clearer in communication and understandable in life and in ministry. What’s the point of teaching others if no one can understand you? 2. Love the Bible. Nobody emphasizes the Bible like MacArthur. He is even accused of being a “Bible worshiper” at times. Yet, instead of going to that false extreme, I think J-Mac does place the Bible at a correct emphasis for the Christian life. The Bible is our connection to the Divine, and it is breathes life into our dead souls through the knowledge of Christ Jesus. Therefore, MacArthur has called many Christians to read it, to study it, to meditate on it, and to apply it correctly. His commitment to verse-by-verse expository preaching is a famous mark of his ministry, and through this he has encouraged me to continue to fall in love daily with the Scriptures. 3. Stand for Your Convictions. From debates during Larry King Live to critiques of popular Christian leaders, Macarthur has never been afraid of standing for his convictions. He is infamous for controversy. Though he doesn’t seek it out, he has a tendency to create a buzz that can rub both Christians and non Christians the wrong way (He isn’t everyone’s cup of tea). Nevertheless, I may not always agree with how he communicates certain truths, I wholeheartedly admire his biblical boldness and example to stand for biblical convictions. Our society constantly bends to pressure and quivers to speak what is offensive, but we should not have to as Christians. We should always speak the truth in love, even when it may risk our relationships with others. MacArthur has boldly stood for his biblical convictions and we can learn much from it. 4. Be Faithful to What is Before You. 50 years in one place speaks volumes to character. In a world where pastors are having stints of less than 5 years in a local church and are hopping from one place to the next, this is truly a story of enduring faithfulness. MacArthur has taught us to love those who are in our ministry context. Not that God cannot bring a person to different contexts, but at this moment in life, with whatever is before us, God has called us to love the people in our life now and to plan to love them for the long haul. I’m sure there is much more to add to this list. Maybe I’ll continue if I think about more. How about you? 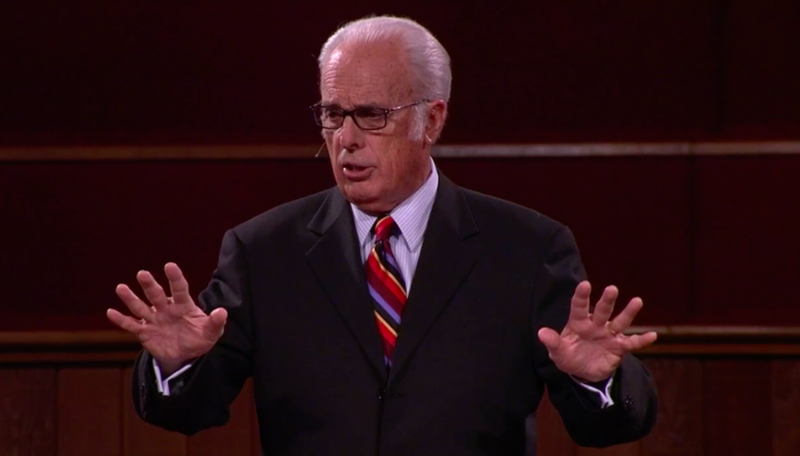 What have you learned from John MacArthur over his 50 years of ministry?